Have an upcoming big wedding or a fancy race to attend? Well, then it is your time to take some fashion inspiration from the royals and be a total head turner at the event. If you want to get the look of the royals without spending like one then fascinators are your best bet. Head over the right online store and you will be mesmerized by the gorgeous collection at a diverse price range. However, if you are a newbie to this head gear then here is our guide to pick and style these beauties to absolute perfection. Getting a flattering colour of fascinator is half the battle won when it comes to styling one. It is a wise idea to plan your outfit including the shoes and handbag before going fascinator shopping. This colour of your outfit will guide you in choosing the right colour of fascinator that gives a cohesive look. You can go for a classic look by getting the accessory in the exact same colour or within the same colour family as your dress or you can make a bolder statement by going for a fascinator which is in a different colour that your dress. 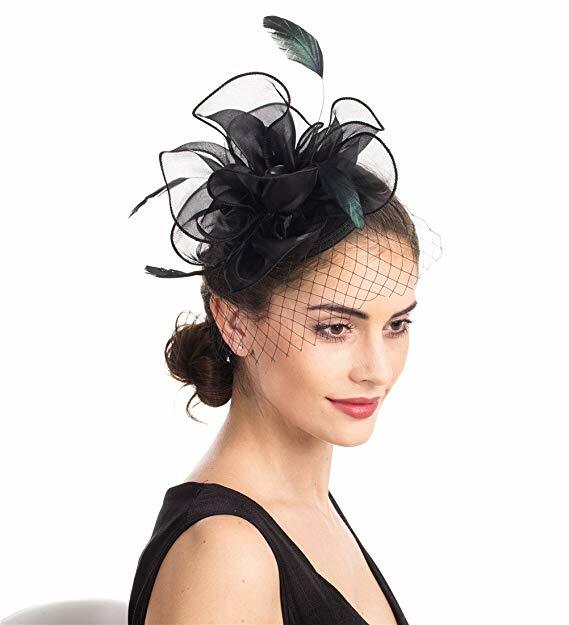 A pop of colour in the form of a fascinator is, especially, effective when you don an all-black or all white outfit. The colour of your hair is also quite a determinant for the fascinator you choose to pick. Earthy colours like deep green, beige and brown are a great choice for redheads. Pops of bright colours like yellow, pink and red with brown hair are a match made in heaven. And, soft shades of warm pastels like coral, lilac, powder blue is perfect for blonde hair. For beauties with a long face, fascinators that have a longer design and add length to their shape are ideal. For those with an oblong face can benefit from fascinators that sit in a way to hide your forehead to balance out the length of your face. Those with a strong and heavy jaw line can sport a style which is wide. Traditionally, fascinators are worn on either side of the face where the parting of the hair rests. However, it is not uncommon to see fascinators place in the front for those willing to take some risk in their fashion game. If you plan to wear your hear sleek and chic in styles like a low pony or slicked back up do then a smaller fascinator will give you a timeless sophisticated look. For fascinators of a more considerable size, it is a better idea to go for hairstyles with some volume such as curls and waves. Fascinators come attached to clips, combs and bands. If you have shorter hair or thinner hair then bands work best for you. Clips are great for those with hair of medium thickness so the clip has enough to hold on to. Combs work best with thicker hair which can often be coarse which gives the comb a very good grip. Stress, aging and improper hydration are some causes why there are visible fine lines around your eyes, forehead, and lip area. Your laugh lines may actually look good, but wrinkles are signs of aging. While growing old is inevitable, looking old is something you can resolve. 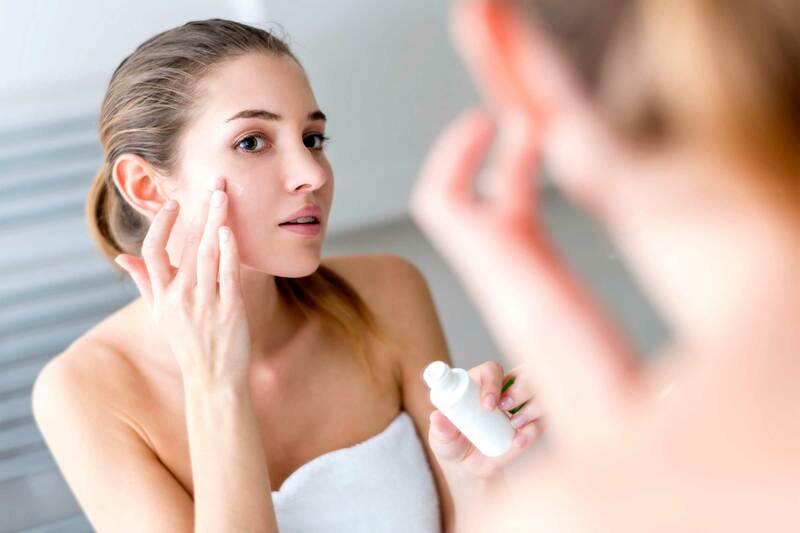 If you’re looking for a way to decrease the size of your skin’s pores and to diminish the signs of fine lines, proper care for your skin and choosing the right skincare products is a must. While you may not notice instant results after using an eye cream under your eyes for a single night, if you consistently use a highly rated eye cream for dark circles from a reputable brand, after a few weeks you should notice that your fine lines have diminished significantly. You can reduce the size of the pores by simply sliding an ice cube around the areas of your face for a few minutes. Just don’t overdo it as this will cause more harm than good to your skin. Another easy way to decrease the size of your face pores is to use a soft face cloth or a facial sponge to apply a few drops of lemon juice to your skin, to visibly decrease the size of your pores. Lemon juice is known to be a natural astringent that minimizes large pores. Alternatively, you can also use pineapple juice in order to achieve the same results. In order to get rid of lines and wrinkles, simply massage a few drops of olive oil onto your lines, before you go to bed each night as olive oil has the power to help diminish the appearance of lines and wrinkles. Just be sure to rinse your face with warm water and a face towel after you’ve massaged the olive oil onto your skin. Vitamin A and vitamin D can naturally give you more plump, healthy and firm skin. So if you’re looking to reverse the signs of ageing, it’s well worth eating foods which are packed full of vitamin D and vitamin A. Some examples of foods which contain vitamin D include salmon, tuna, soy milk and egg yolks, while some examples of foods which are packed full of vitamin A include broccoli, carrots, spinach, cod liver oil and spinach. All of which will be easy to incorporate into a healthy diet. There are many skin masks and sheet masks which promise to reduce the size of your pores in just 20 minutes. Although to get noticeable results, you’ll need to use a skin mask or sheet mask at least once a week. Some masks that are known to significantly reduce the size of pores include yoghurt based skin masks and charcoal based skin masks. Both of which are well worth trying! So if you thought that you had to live with oversized pores or lines and wrinkles, think again as there are multiple ways to diminish the signs of wrinkles, lines and pores. Local SEO is considered as a branch of Search Engine Optimization (SEO). It heavily focuses on the proper optimization of a business webpage which can appear in local search results. One can easily distinguish local SEO from the general SEO framework through its localized content such as a particular address. 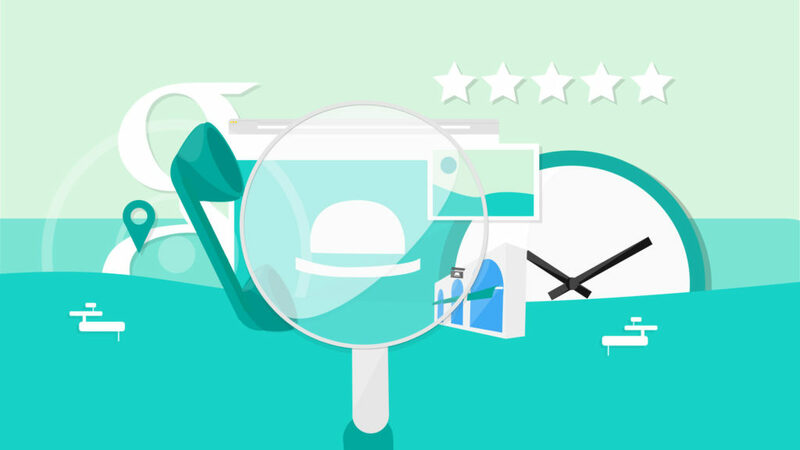 To incorporate local SEO into a business’ digital marketing strategy, one should focus on the importance of emphasizing the various optimization efforts of businesses that are leasing retail shops, warehouses, or even factory production facilities; these businesses are known as Brick and Mortar businesses. A guide created by HigherVisibility on the strategies under local SEO can help an organization or a business entity on the proper way of utilizing their webpage content, link building attempts, on-page optimizations, and other local SEO guidelines. However, we are going to brief you with some of the more important details on local search as well as how it could impact your business. Here are a few statistical data from the Search Engine Journal concerning local search. 50% of the searches on Google are done through mobile devices. Most of the searches done on mobile devices are looking for local businesses. 34% of the local searches on Google are done through the web or other devices. 78% of local searches done on mobile devices lead to offline purchases. 18% of local searches done on mobile devices resulted in a sale within 24 hours. 1 in 3 searches on mobile devices was made typically before arriving at a physical store. It is pretty self-explanatory that when someone is looking for a dentist, a doctor, or any medical professional, they are always searching for those near them. Most of us wouldn’t want to go out of our way to travel for several hours just to see a dentist when you can easily visit one within your area. Those who are looking for medical professionals would most likely set appointments with them. It would be a more cost-effective and hassle-free process if they can find local medical services. With the help of local SEO, you allow your medical business to become searchable to those who have a high chance of actually visiting your office. One of the benefits of local SEO is that search engine platforms like Google feature a call button that allows the searcher to easily contact a local business. Similar as to why it’s more reasonable to target local clients for medical services is because they have a high chance of actually availing your service or visiting your office. If a law firm can properly incorporate local SEO into their webpage, it is possible to grace the top results of a particular search. In addition, the call button feature by Google can come in handy especially if the client has been in an accident. As a result, contacting local lawyers that offer free consultation would be a lot easier. Local SEO for contracting services means that you are extending your business services to local clients. As a result, there is a high chance that clicks are turned into sales because location would not be a hindrance to both your offline and online customers. Some of the benefits of local SEO for contractors include an easy application process for your business to Google Search or Google Maps. As a result, finding quality leads will be a lot easier and targeted since local clients are more likely to turn into real customers. Similar to the implementation of local SEO by general contractors, plumbers can also benefit from this by allowing their local clients to find their business in an easier manner since it only targets local clients. This ensures that your plumbing business is enlisted in local listings. It is a highly effective marketing strategy because it uses your location to find clients within the same area as your business. Local SEO can be proven beneficial to any type of industry. Even the editors of BBC News have realized the importance of local SEO in their business. By figuring out the most searched keywords, they are given an idea as to which stories are worth covering.